As the nation celebrates Independence Day today, the labor group Partido Manggagawa (PM) called on workers to defend political freedoms. “The workers and the people must be vigilant in protecting the liberties and freedoms we now enjoy amidst the declaration of martial law in Mindanao and the extra-judicial killings due to the war on drugs,” declared Rene Magtubo, PM national chair. The group also expressed solidarity with the rallies and events being held today to echo a similar call of defending civil liberties and political freedom. PM had earlier stated its opposition to the imposition of martial law in Mindanao. “Even as workers are aware of the defects of the trapo democracy we have today, the rights and freedoms Filipinos possess at the moment is better than having none at all under a martial law or authoritarian regime,” Magtubo averred. 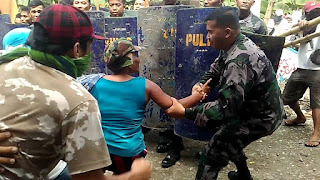 “The accounts of abuses in Mindanao due to martial law is no different from the cases of extra-judicial killings or arbitrary arrests of labor unionists because of the war on drugs. In the bloody month of September 2016, seven labor leaders and farmer activists were killed vigilante-style, among them a PM organizer in Cebu City. That same month, a union president was arrested in Tarlac on trumped up charges of drug possession,” Magtubo said. The group vowed to launch protests and actions to defend civil liberties and resist labor repression. “While employers’ groups were among those welcoming the declaration of martial law, workers will be at the forefront of resisting the repression of civil liberties,” Magtubo insisted.